December - March, from £2650 per week for skippered charter. 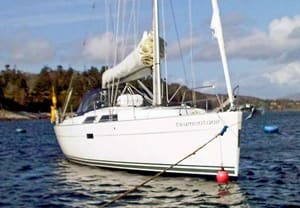 April- November, from £2350 per week for skippered charter. 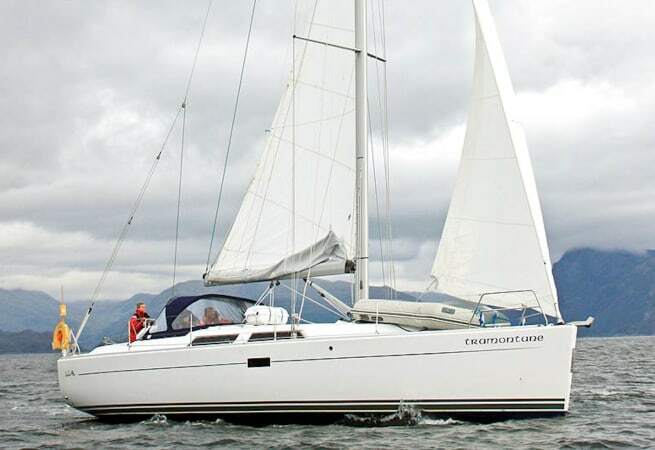 Tramontane is a Hanse 400, the perfect vessel for a relaxing week on the water in Largs, Scotland. 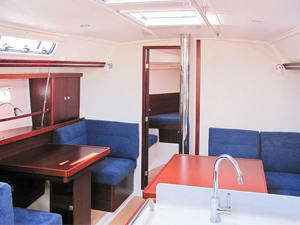 She is a spacious yacht offering three large double cabins, with two heads and big saloon and galley area. 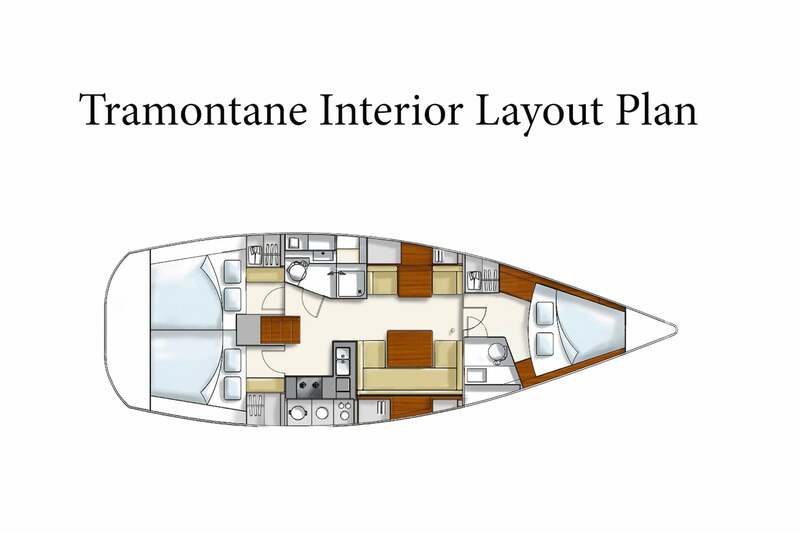 Lots of ports and hatches make the interior very light, airy and pleasant to spend time aboard. 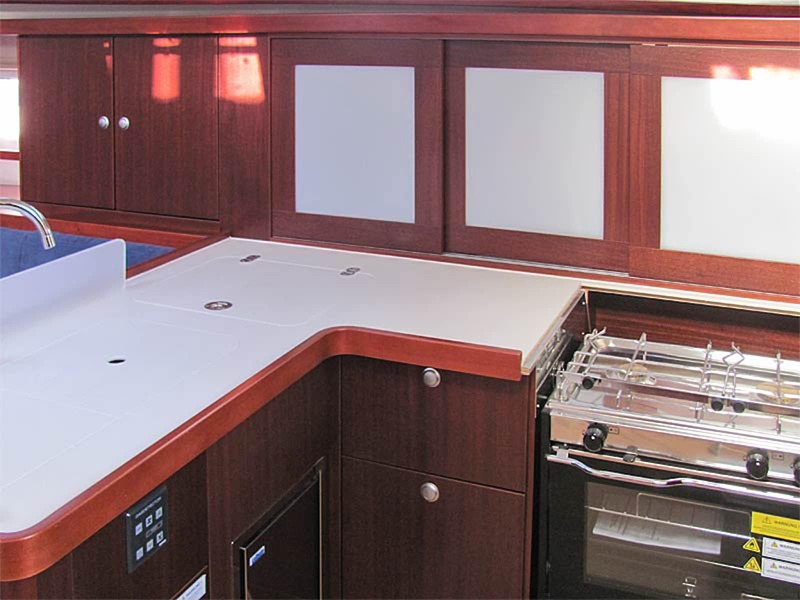 As with all Hanse’s the interior joinery is built for each individual hull, which ensures that the quality of the finish is as high as possible. 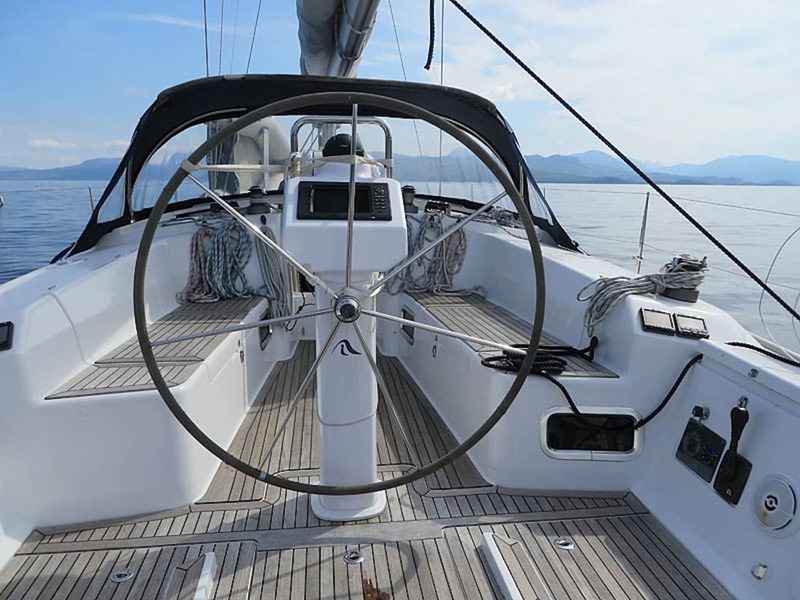 On deck, all sail controls are led back to the cockpit so sail setting and reefing can be done in safety and under the shelter of the sprayhood. The self-tacking jib is easy to operate and makes changing direction incredibly simple. 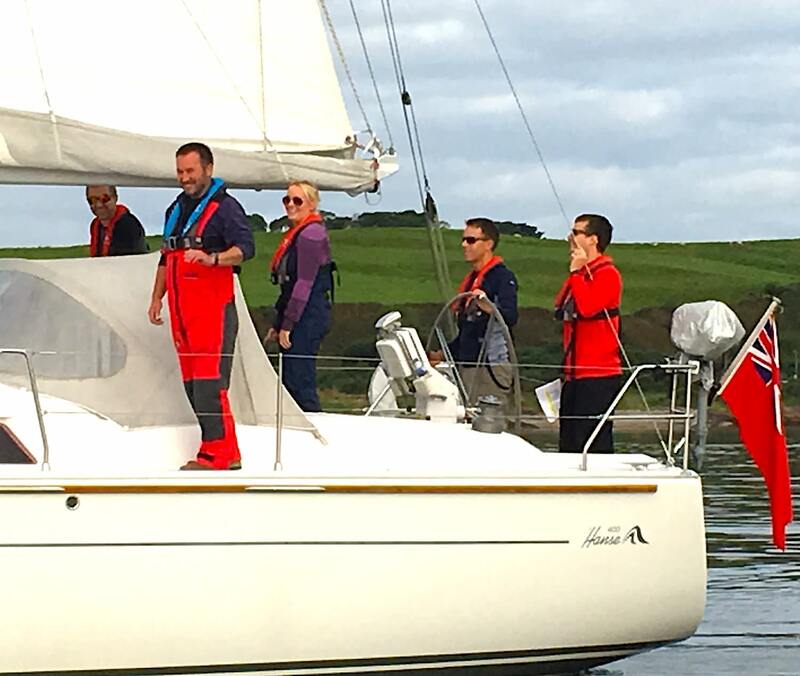 On the foredeck, the hard work is also taken out of anchoring by the two-way electric windlass.